0 Parktime Episode 2: “Hyperlactation” starring Zach, Wendy Selwyn, Ann Russo, and Paula Elliott! 0 Watch New SELWYN BROTHERS Web Series “Parktime” – Starring Zach, Bil Dwyer and Billy Rosenfeld! 0 Watch Zach’s 2011 SUPER BOWL Commercial for Cellular South! Zach and Mike Senese have launched a new humorous blog dedicated to all things scribbled in sidewalk cement – Please take a minute and browse the site! 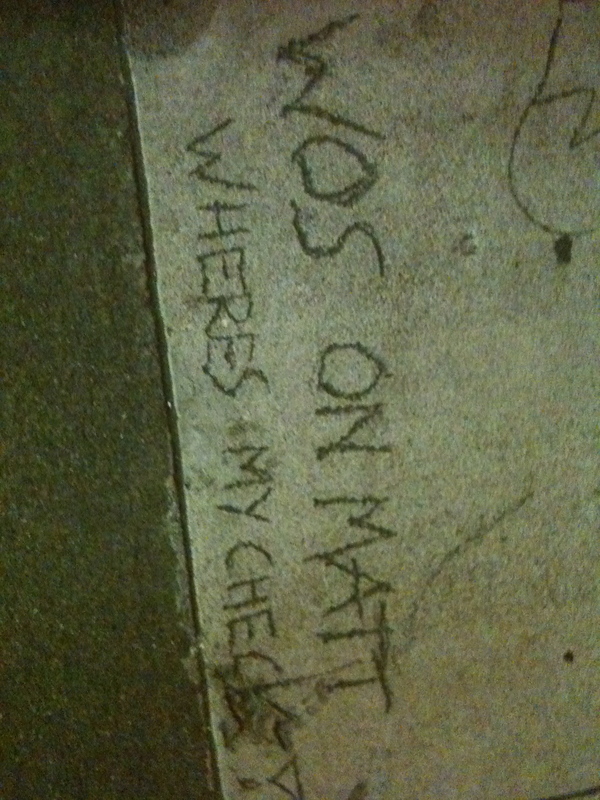 AND feel free to submit your own sidewalk finds to the ‘Hood! Our goal? A sweet coffee table book by 2012. And of course, a movie deal.